You can find fleas in your home at any time during the year, especially if you have a pet that spends a lot of time outside. Fleas can survive the harshest of winters, so you should be on the lookout for them in all four seasons, regardless of where you live. However, you should be especially mindful of fleas in the summertime, since they tend to become an even bigger problem for people in the warmer months. Why are fleas so problematic in the summer? There are several reasons for it, but the biggest one is that the warmth and humidity in the summertime results in much quicker life cycles for fleas. Fleas can land on your pets, enter your home, and then lay eggs in the summer, and these eggs will hatch much more quickly than they would during other times of the year. As a result, it’s not all that uncommon to see a home go from having no fleas to having a total flea infestation in a short amount of time. Another reason that fleas seem to be more prominent in the summer is that there is more wildlife out and about in the warmer months than in the colder months. If you’ve taken a walk through a park in recent weeks, you’ve probably seen a lot more wildlife than you would in the winter. Many of these animals can carry fleas, and these fleas can then end up on your pet. Your pet can bring the fleas into your home and cause an infestation if you don’t spot the problem early enough. The good news for you is that, despite the increase in flea activity in the summer, you can prevent fleas from becoming a huge problem if you treat your pet for fleas and have an exterminator come to your home to inspect it for signs of an infestation. 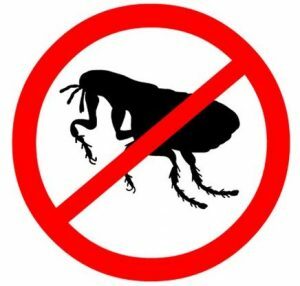 If you do have a flea issue, Buffalo Pest Control can help you get rid of it as quickly as possible. Call us at 716-898-2021 today to find out how we can make your flea problem a thing of the past. This entry was posted in Fleas, Pest Control. Bookmark the permalink.